(rain date - September 21st) Details to follow as they become available. Details to follow as they become available. In the Tender Loving Kare parking lot in Peoples Plaza. 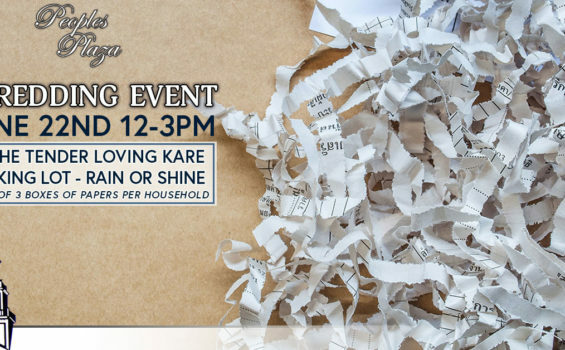 There is a limit of three boxes of paper per household for shredding. This event is free and open to the public.